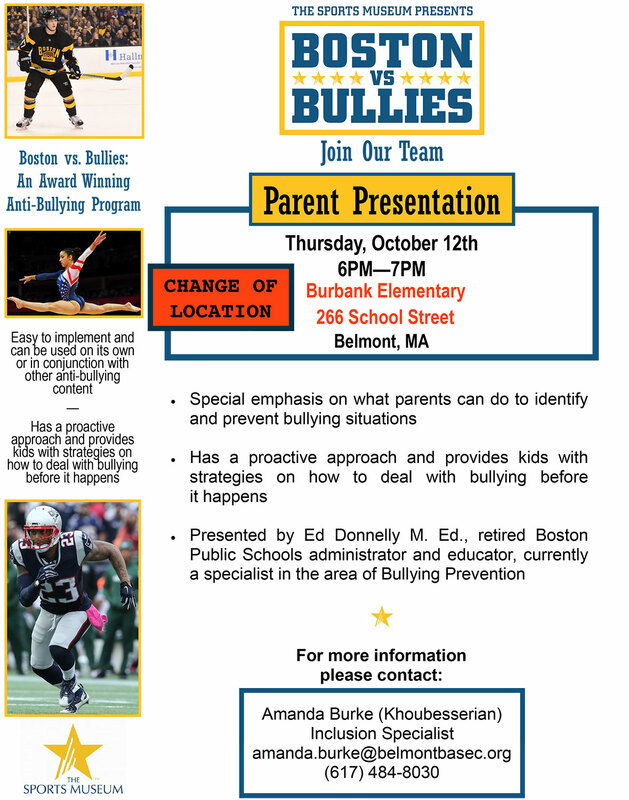 The Sports Museum presents “Boston vs. Bullies”. A special presentation for parents about what parents can do to identify and prevent bullying. Join us on Thursday, October 12th at Burbank Elementary School from 6:00 PM – 7:00 PM. For more information please contact Amanda Burke, Inclusion Specialist.